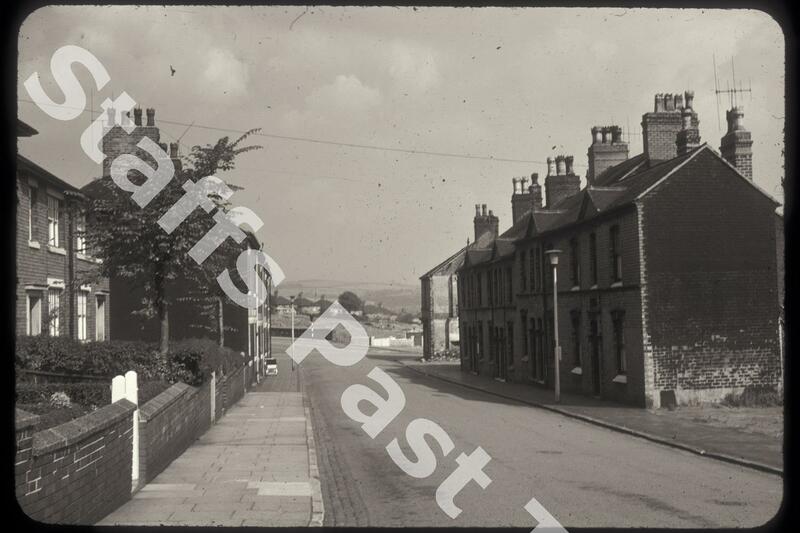 Description:The photograph shows Keelings Road in Bucknall, close to the corner with Northwood Park Road. On the left, the houses date from the 1890s. 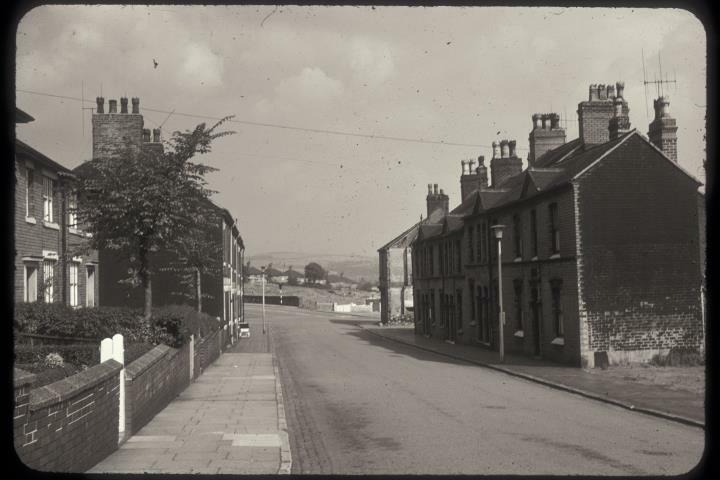 In 1963, these houses were in the process of demolition and have been replaced with bungalows. The early 20th Century houses on the left still stand. In the distance is the Northwood area and beyond, the edge of The Moorlands.